When you find some snakes you are interested in you can either email us directly at cbboa@comcast.net or use our contact form to let us know that you are interested along with any other questions you may have. We will answer any of your questions and let you know if the snake is still available. Once you have confirmed that you would like to purchase the snake, we will discuss the payment options. You can read about payment options and financing on our Terms & Shipping page. Once payment is made in full we will schedule the shipping. Shipping rates vary, so we will provide you with a quote when you contact us. We ship Monday – Wednesday via FedEx overnight. FedEx guarantees overnight delivery by 10:30am the following day to MOST areas. As soon as the shipping label is created, you will receive a tracking notification via email from FedEx. This will allow you to track your order. Be sure that someone is available to sign for the package and the snakes new home is already setup. 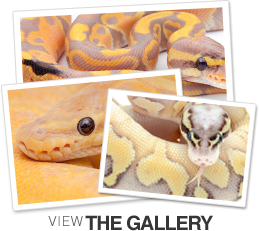 Be sure to read When Your Snake Arrives for detailed instructions on what to do with your new ball python. As a courtesy, we would love a quick email to let us know the snake arrived safely. We’re a little like over protective parents when it comes to our snakes! Please refer to our Terms & Shipping page to review our Guarantee of Safe Arrival. If you have any problems with the snake, we must be notified within 24 hours.